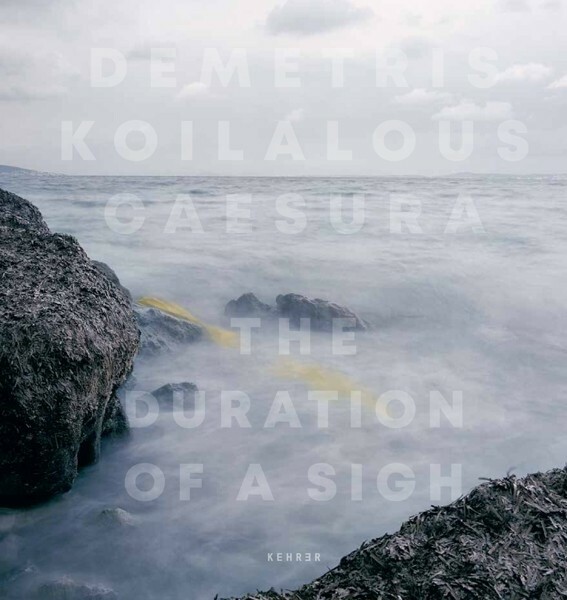 Caesura is a collection of photographs about the transitory state of the people who entered Greece after crossing the Aegean Sea – the infamous »death passage« – on their way from their homelands in Asia and Africa to the land of promise and hope: Europe. Typically the term »caesura« means the brief silence in the middle of a poetic verse or a musical phrase – used in this context as a metaphor for a silent break amid two violent periods. The characters in Caesura take on temporary identities as they pose for the camera in frames of transition and uncertainty. The photographs do not attempt to provide answers or make a historic statement about this mass exodus by simply exposing human agony. Rather, they seek to raise questions about the human condition and identity. Demetris Koilalous works as a freelance photographer in Athens. Caesura has been exhibited at Athens Photo Festival, Les Boutographies in Montpellier, Cardiff International Festival of Photography, PhotoIreland, and Kolga Tbilisi Photo. 2017 it won prizes at Santa Fe Photo Festival, at Kuala Lumpur International Photo Awards, at Head On Photo Awards, and at Life Framer.